PRESS RELEASE – Quality Distributors takes the early leader spot in Bud Light Women’s Soccer League standings based on goal differential following opening week matches of the 2017 Spring season Sunday at the Guam Football Association National Training Center. Quality Distributors, last season’s runner-up, started its 2017 Spring season bid with a 5-0 win over the Nutrition Mission Heat. Alisia Barcinas led Quality with two goals and teammates Paige Surber, Jalana Garcia, and Paris “Mames” Blas also scored in the win. In one of the closest matches of Sunday’s triple-header, PFC Lady Crushers’ Anjelica Perez emerged a hat-trick hero for her team in its 4-2 win over last season’s champions NAPA Lady Rovers. The Lady Crushers’ other goal came on a Lady Rovers own goal. Courtney Salgado and Brianne Leon Guerrero scored for the NAPA Lady Rovers. 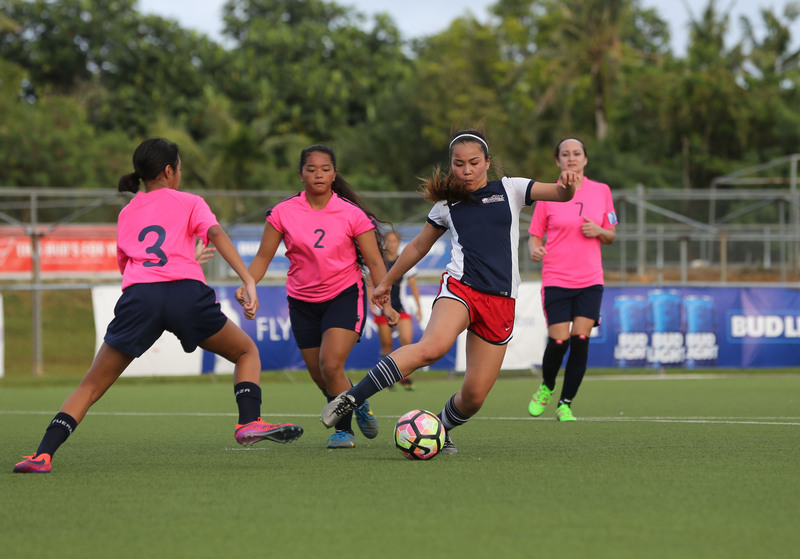 In the evening match, Hyundai defeated a shorthanded Bank of Guam Lady Strykers team 4-1 with two goals from Olivia Flores and one each from Arisa Recella and Aubrienne Pangindian. Hannah Cruz scored the Lady Strykers’ lone goal. Currently, Perez tops the Golden Boot race with three goals in one match, followed by Flores and Barcinas each tied with two goals in one match. League play continues Sunday at GFA with the PFC Lady Crushers taking on Hyundai at 3 p.m., followed by Nutrition Mission Heat against the BOG Lady Strykers at 5 p.m. The NAPA Lady Rovers will take on Quality Distributors in the late match kicking off at 7 p.m.